No two door installation projects are exactly alike, so we offer a wide range of add-on components to customize your barn door. Our wall mount kits allow you to add additional tracks. Our extension kits allow you to mount tracks a little further from the wall if necessary. Our bypass hardware sets -- available in our Standard Series, Stainless Steel Series and Shutter Series -- allow you to install sets of 2, 3 or even 4 doors in a single doorway. See our online product catalogs for the full line of available add-on components. 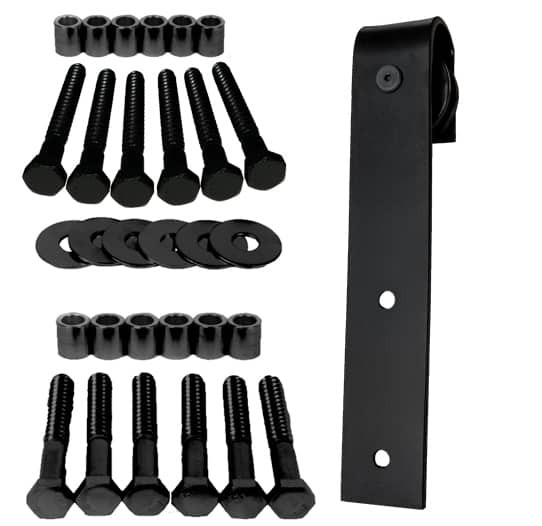 Your local Goldberg Brothers barn door hardware dealer can help you order these and other additional components if they are not in store stock.